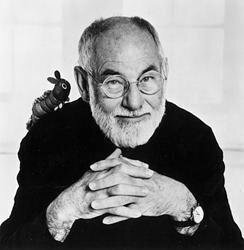 Eric Carle will appear at the Eric Carle Museum of Picture Book Art in Amherst, MA the weekend of July 15th and 16th. On Saturday, July 15th, at 5 p.m., Mr. Carle will host a ceremony to honor his mentor Leo Lionni and unveil Mr. Lionni’s bronze sculpture Imaginary Garden. A reception with Mr. Carle will follow. Tickets for the ceremony and reception are $25 for the public, $15 for members. The following morning at 10 a.m., Mr. Carle will meet fans and sign books. This event is free with admission. More details for both appearances are available here, and a specific FAQ for the “Meet Eric Carle” signing is here.